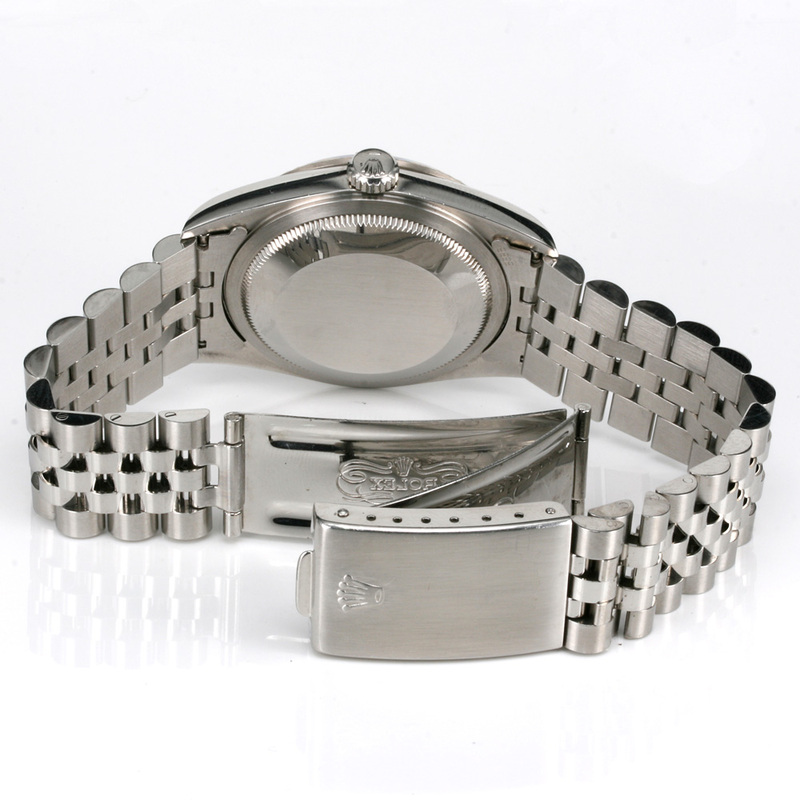 Product code: W595cc Categories: Sold Items, Sold Rolex Watches. The Rolex Oyster Perpetual Datejust is such an iconic Rolex watch and here is a great looking Roles Oyster watch model 16234 with the 18ct white gold bezel. 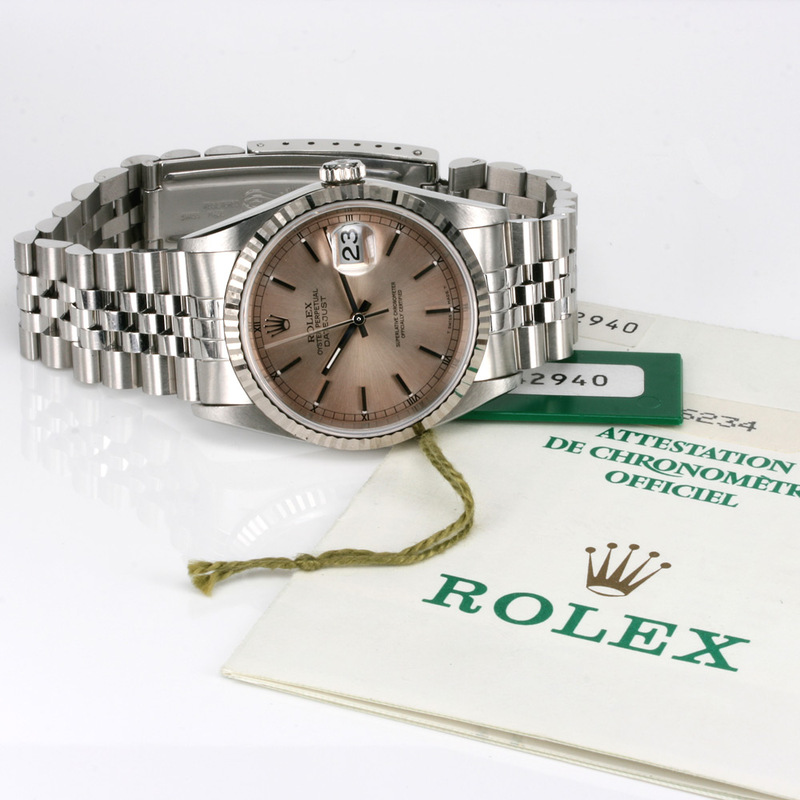 Made in 1996, this Rolex Datejust is in superb condition including the band which shows no signs of flex or wear and is made even more handsome by the soft colour of the dial with indexes and small Roman numerals around the outside. 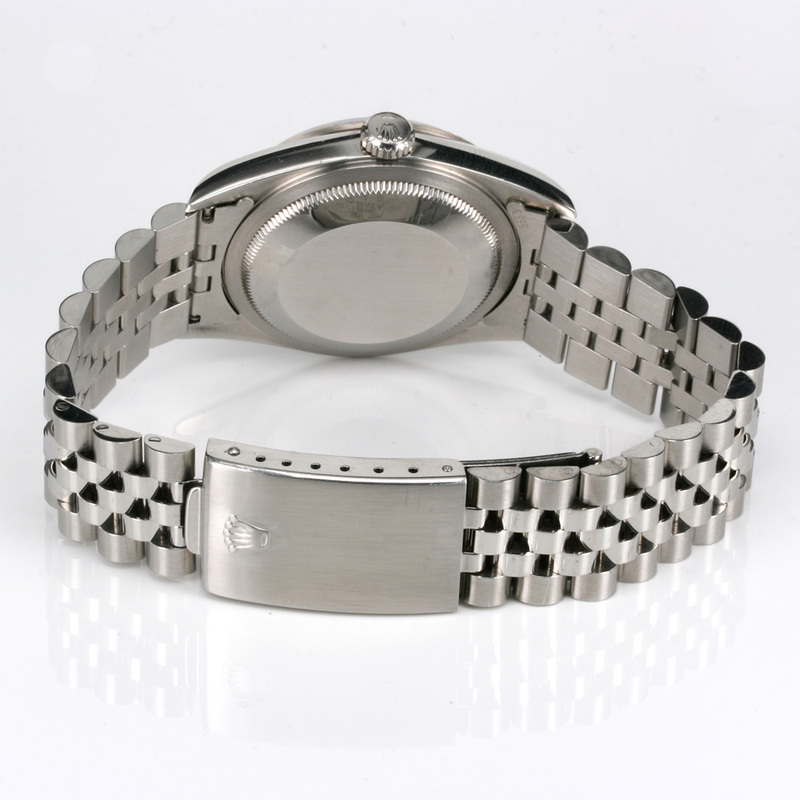 Fitted in a stainless steel case with the white gold bezel, the case measures 36mm across plus the Rolex screw down crown, it is also attached to the Rolex Jubilee band and is also fitted with the sapphire crystal. Inside is a 31 jewelled automatic Rolex calibre 3135 which keeps perfect time and comes with our twelve month warranty. Complete with its box and papers, this is a great looking Rolex Datejust for that fastidious and concerning buyer to wear all the time.